Greg Burger (MS, RPh, FASHP) has particular skills in the areas of hospital pharmacy operations management, standards and compliance, patient safety, multiple facility redesigns and launches, retail administration, automation, and specialty pharmacy including the 340B Drug Discount program. He is a certified Six Sigma Green Belt in performance improvement methodology. 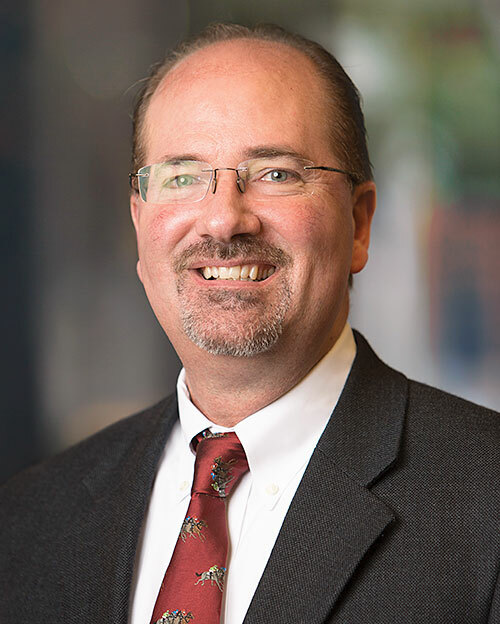 Prior to joining Visante’s Hospital & Health System Services practice, Greg was Executive Director of Pharmacy Operations at Indiana University Health (IU Health) in Indianapolis, IN. He was responsible for all aspects of pharmacy operations at four hospitals, 6 outpatient infusion center pharmacies and 21 retail pharmacies in the IU Health system. This involved overseeing an operating budget of $150 million in expenses and $800 million in revenue plus a staff of 585 full time employees. As Director of Pharmacy at UC Health-University Hospital in Cincinnati, he managed all aspects of that pharmacy practice including annual pharmacy budget preparation, administering the hospital’s residency program and overseeing 125 FTEs. During this time he was able to keep expenses to within 2% of budget while exceeding revenues between 8-14% over budget. Before this, he was with the University of Iowa Hospitals and Clinics in Iowa City, Iowa. Here he was Assistant Director the Department of pharmaceutical Care and Director of Pharmacy for the Ottumwa Regional Health Center. Greg received a Master of Science in Hospital Pharmacy from The Ohio State University and a Bachelor of Science in Pharmacy from the University of Iowa in Iowa City. He completed the Executive Management Program for Pharmacy Leaders at the Wharton School of Business Executive Education program. He is a Fellow of the American Society of Health-System Pharmacists and remains active with local and national professional organizations.